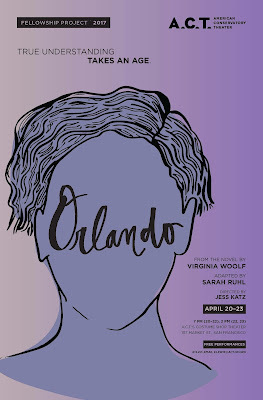 Artwork for Orlando, the 2017 Fellowship Project. I identify with Orlando in this moment. While my life is certainly shorter and simpler than Orlando’s, I also have trouble reconciling all of my interests, circumstances, and choices so that they amount to one clear picture. This is true for my life in the theater, where I am still trying to figure out where I best fit and contribute. And so, it was a wonderful relief to be a part of the 2017 Fellowship Project—a theatrical production chosen, produced, and staged by members of A.C.T.’s Fellowship program—where assuming multiple roles was not only encouraged, but essential. To make this project a success, it was imperative that each fellow involved take on numerous responsibilities. We each had official roles that correspond to our departments at A.C.T. However, those titles don’t show the group effort required to make this show a reality. Every fellow was a fundraiser, every fellow volunteered to work events, every fellow signed up to help with front of house, or load-in, or strike. The pressures of producing the show entirely on our own forced us to stretch ourselves and contribute in ways we might not have imagined at the onset. during a costume fitting for Orlando. Photo by Emilianne Lewis. The same held true in the rehearsal room. 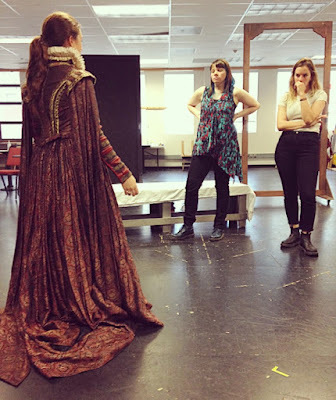 Our dramaturg is our stage manager as well as our assistant director, and her comprehensive understanding of the play was immeasurably valuable. Each actor portrays more than one character, and it was a delight to see the full range of our cast’s talent and skill. There, fluidity and variety did not hinder or distract us, but helped us shape the show. As Orlando wonders whether she has an identity at all, the Queen comforts her, saying “you are many things to many people.” In an age that seems to value specialization above all, this is a rare opportunity to take ownership of a project in many capacities. I am grateful to A.C.T. for not only providing the fellows training and experience in our own departments, but allowing us to explore the many possibilities available in theater. Hopefully, the audience will also come away from this show feeling less pressure to define themselves rigidly, and instead find joy in the many different ways they are themselves. 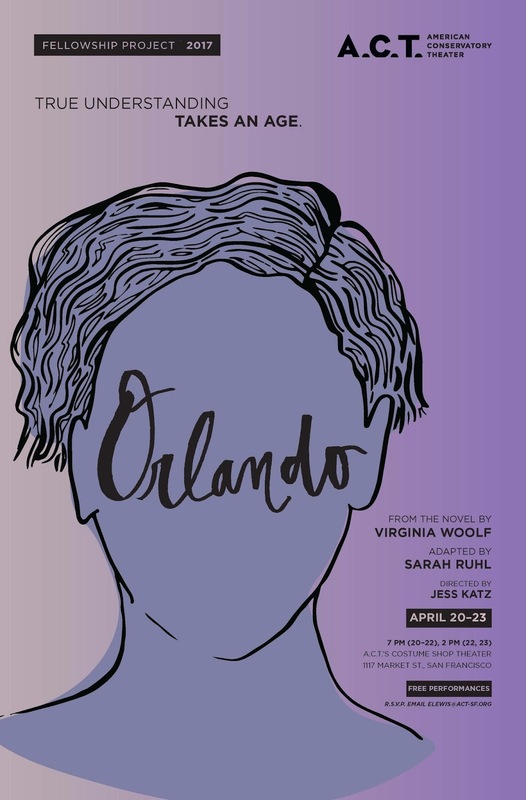 Orlando runs April 20–23 at The Costume Shop, 1117 Market Street. Email elewis@act-sf.org to reserve tickets. For more about A.C.T.’s Fellowship Program, click here. Madelene Tetsch is the Development Fellow at A.C.T.